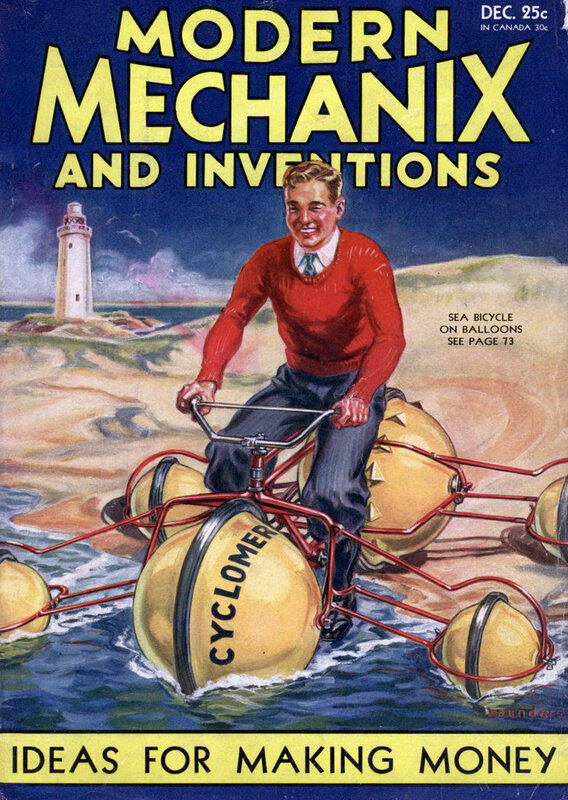 NOT to a radio expert but to a housewife, Mrs. Johannes Ronn, of Kansas City, Mo., goes the honor of putting to useful service the heat emanating from tubes in a radio set. What she did in effect was to make the set do duty as an incubator. 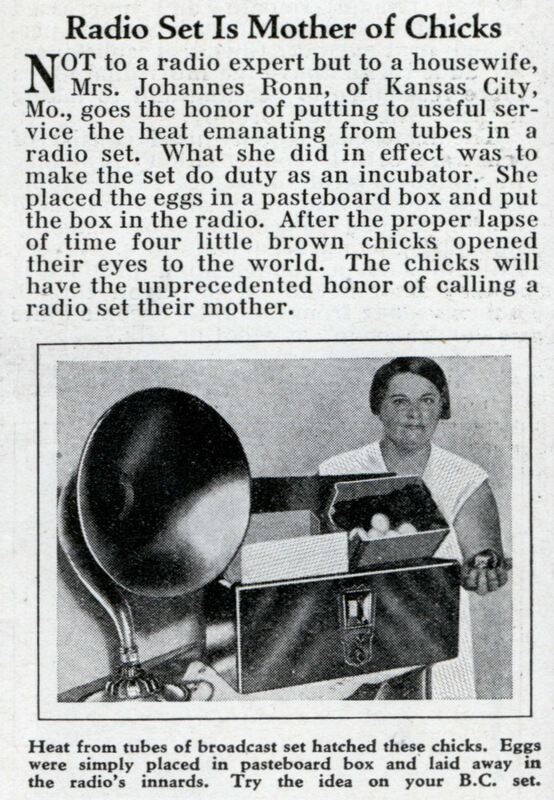 She placed the eggs in a pasteboard box and put the box in the radio. After the proper lapse of time four little brown chicks opened their eyes to the world. The chicks will have the unprecedented honor of calling a radio set their mother.